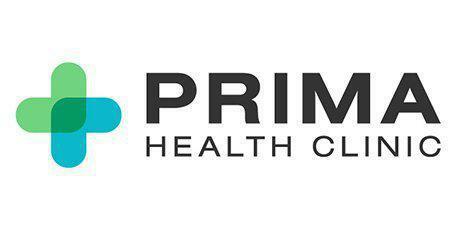 Whether you are affected by a food allergy or an irritable stomach, the Prima Health Clinic can help. Here, in the Dallas-Fort Worth Metroplex area patients can undergo effective testing to determine the root cause of their gastrointestinal health issues at the office's Garland, TX location. What is Targeted Stool Testing? What if I think I have a Food Allergy? The IgE allergic response is the most well known food allergy reaction. IgE allergic response are permanent allergies that occurs immediately due to histamine release after the ingestion offending foods such as peanuts or shellfish. Genova IgE Food Antibodies analyze serum levels IgE antibodies for 19 combined foods. Our physicians can assist you with setting up an anaphylaxis action plan, discuss latest treatment options. The IgG food sensitivities are seen which patients who may suffer from delayed reactions/sensitivities to specific foods. Genova IgG Food Antibody Assessment measures IgG antibody levels to 87 foods. Additional sensitivity tests are also available for regional inhalants, molds, vegetable and spices. It may also provide insight on intolerances, or non-immune responses to certain foods. A customized True Relief Rotation Diet plan will help you to further understand food allergies and intolerances, and to make practical adjustments in your daily diet. Did you know that Small Intestinal Bacterial Overgrowth (SIBO) can be the cause of bloating, gas, diarrhea, irregularity, and abdominal pain? Gastric secretions and intestinal motility keep the small intestine relatively free of bacteria. The most common causes of SIBO relate to a decrease in production of stomach hydrochloric acid or pancreatic enzymes. The SIBO test aids in identifying the actual cause of IBS. Studies suggest that as many as 50-75% of patients with IBS have SIBO. With our simple non invasive Lactulose Hydrogen and Methane Breath Test to detect SIBO, intervention strategies involving diet, digestive support, probiotics and antimicrobials can be used to treat the condition. Could H. Pylori be the culprit to my symptoms of burning, bloating, and belching? Ulcers aren't caused by stress or spicy food. Gastritis and dyspepsia can both be caused by H. Pylori and without proper treatment these conditions will probably not go away. The other major cause is NSAIDS. This means that taking NSAIDS and being infected with H. Pylori this can make your chances of developing an ulcer even greater. If your stomach symptoms are bothering you, get an Exalenz BreathID test in our office and get appropriate treatment! Recent studies have linked H. Pylori infection with an increased risk of developing certain stomach cancers. Call out office today to schedule an appointment.